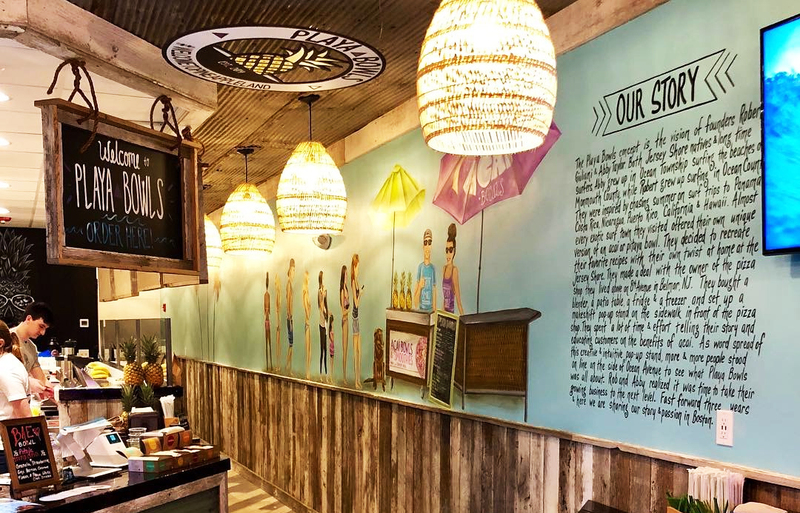 Brighton, MA February 26, 2019 – An official ribbon cutting ceremony was held to celebrate the grand opening of the first Massachusetts franchise location for Playa Bowls, the NJ based fast casual fresh fruit smoothie bowls, oatmeal bowls and smoothie franchise. Alisa King of Associated Brokerage Group represented Playa Bowls in the leasing of the property from Lake Street Realty Trust. Strategically located at the Boston College T Station retail plaza at 2199 Commonwealth Ave. in Brighton, the franchise created an immediate buzz, as Boston Mayor Marty Walsh presided over the ribbon cutting and over 100 customers waited in line to be one of the first to sample the smoothies and fruit bowls. Associated Brokerage Group is a locally owned commercial real estate brokerage firm, specializing in the sale and leasing of office, retail, industrial and other unique commercial properties throughout Greater Boston and Eastern Massachusetts. ABG distinguishes itself from larger conglomerates, as well as from other brokerage houses, by its “boutique-style” structure, which allows for more personal and creative client focus. Less on bureaucracy and management, and more on practical market knowledge and experience, our representatives approach each client with tailored marketing solutions and above all, a personal commitment to fully service our accounts. The Playa Bowls concept is the vision of founders Robert Giuliani & Abby Taylor — both Jersey Shore natives & long-time surfers. Almost every exotic surf town they visited offered their own unique version of an acai or pitaya bowl. They decided to recreate their favorite recipes with their own twist at home at the Jersey Shore. Fast forward five years & here we are, sharing our story & passion at over 65 stores nationwide.